Menu and prices might change. Prices as references. 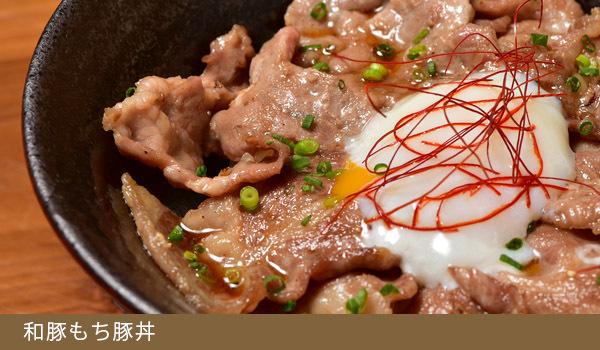 A dish we’re really proud of; local pork offal is simmered for hours until it is delectably soft，then seasoned with salted kouji (used in the process of making our Hakkaisan sake）. 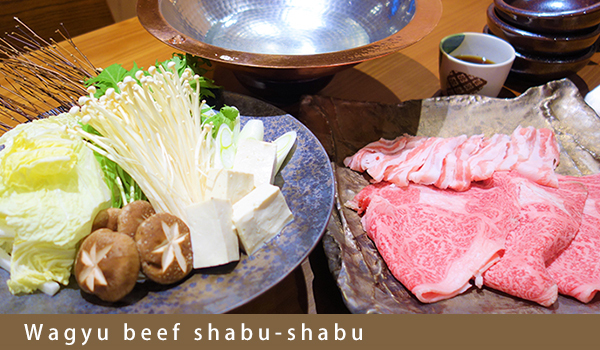 Wagyu Japanese beef tendons boiled for hours until soft，prepared in a miso base. 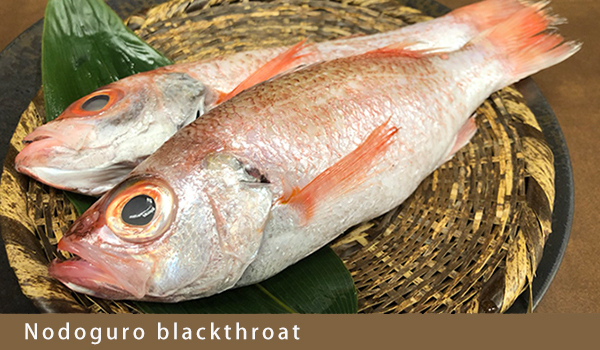 The highest quality fish from the Japan Sea， salted and roasted. You came all the way to Niigata， so try this out! Rich and flavorful mackerel so good you might wonder if it’s really mackerel. Salted semi-dried squid pairs spectacularly with sake. Japanese bluefish cooked in a miso sauce. 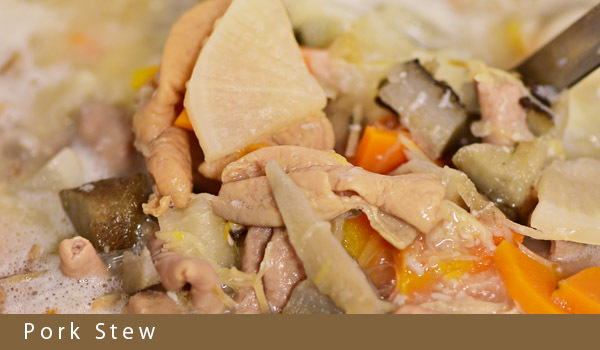 Meaty and rich， this is a dish not to be missed! Miyuki trout cooked in a miso sauce. 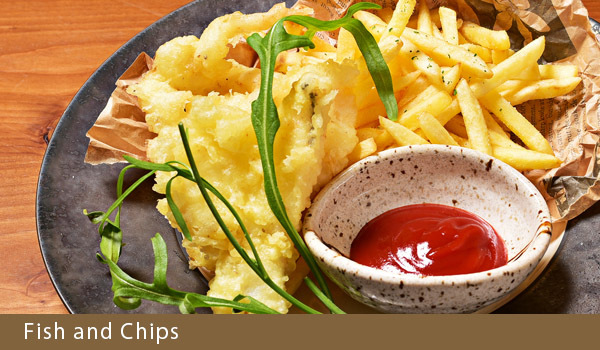 We are particularly proud of these locally sourced fish. Semi-dried， extra-large Kinki fish， straight from the farm. Something to write home about. 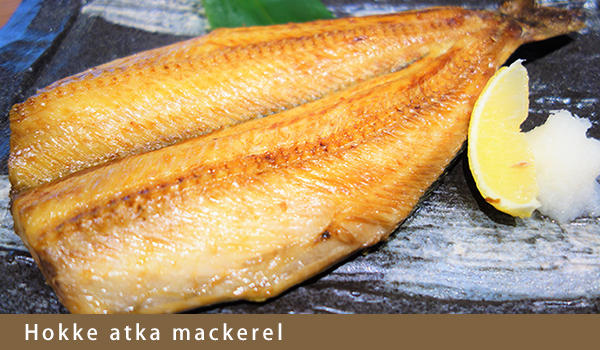 Large hokke so juicy， you’ll never be satisfied with any other fish again. Cooked right on your table， you can eat these scallops grilled with soy sauce and butter， or even raw. Enjoy the overwhelming aromas! Made from local ”Mochibuta” pork，there’s enough sausage here to fill you up! 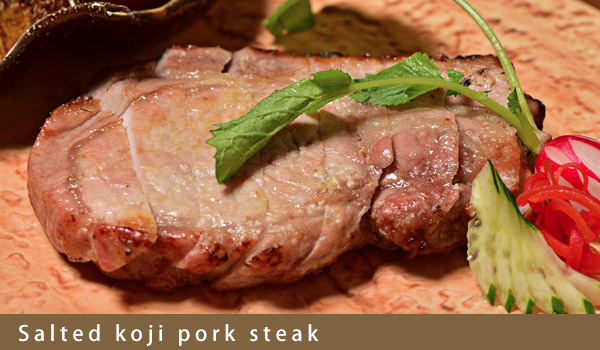 Thick-cut pork steak with soy sauce and accents of ginger or wasabi. 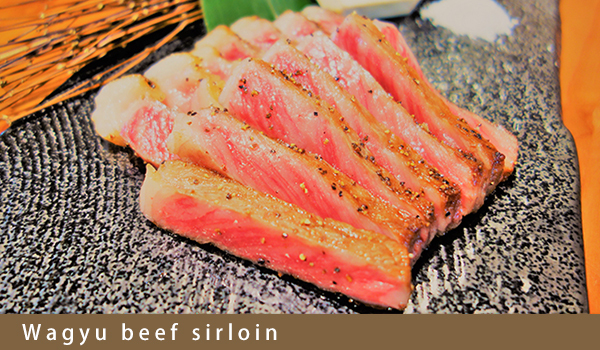 Top-quality Niigata Wagyu Beef. Each bite is a taste of bliss. Choose salted or with a sauce. Niigata Wagyu beef seared in our stone oven. Enjoy this top quality cut cooked rare. Juicy chicken patty with a great sauce. 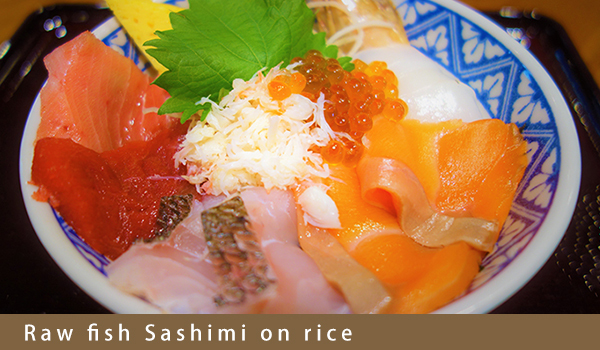 Try it with our ”Onsen Egg” (soft-boiled egg) (Egg). Barbecue-style ”yakitori” chicken kabobs. These can fill you up! Choose salted or with a sauce. Niigata’s own jumbo fried tofu topped with bonito flakes， green onions， and ginger. Top it with a splash of soy sauce and enjoy this Niigata soul food. 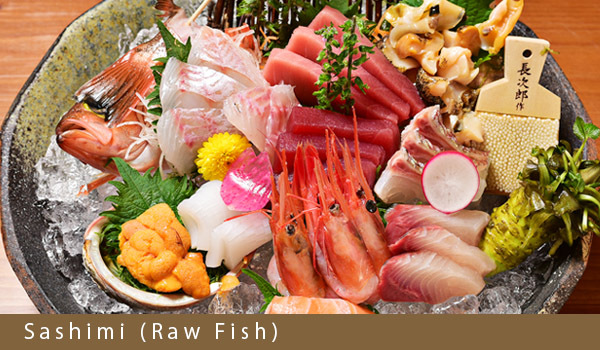 The freshest fish in Naeba! Depending on the catch of the day， shrimp and crab may also be included. 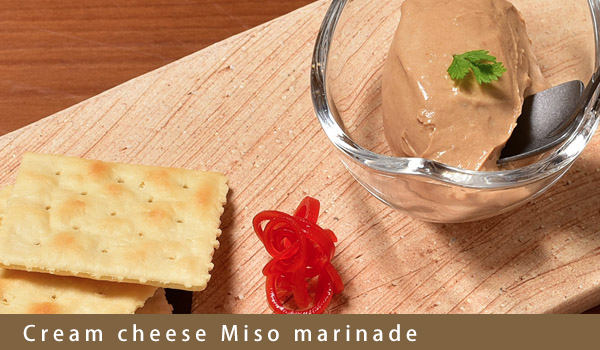 Cream cheese marinated in miso. 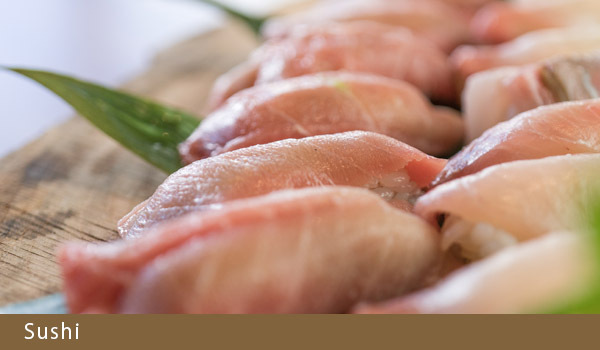 Pairs beautifully with sake or wine. Lightly seasoned picked vegetables that were locally grown in this region. Thickly sliced salmon. A luxurious side dish that tastes great with sake. 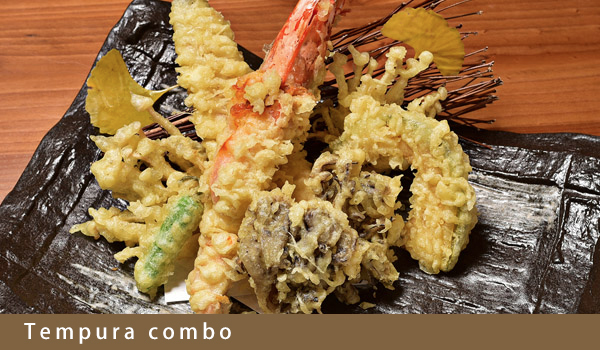 Combination platter of popular dried seafoods. Pairs perfectly with sake. Cuttlefish tentacles and cuts cooked in a soy-sauce based sauce. Perfect with sake. This is our tongue version of beef stew. 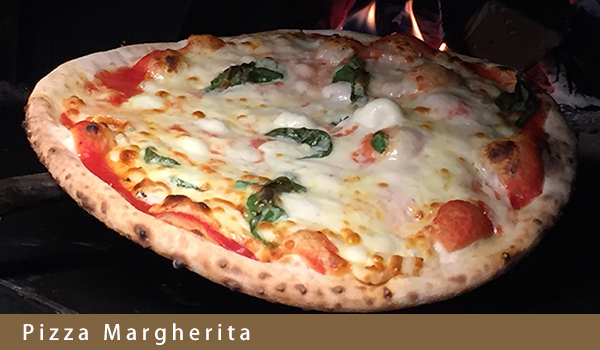 The soft tongue creates beautiful harmony with this sauce. Locally-sourced mushrooms are sauteed in a soy-based sauce， with fried tofu added in. Light and fluffy Japanese-style omelet with soy sauce. Homemade omelet with the perfect match - mentaiko fish eggs! If you like avocados， don’t miss this avocado， sesame cream salad! The height of luxury: roast beef on a bed of vegetables， lathered in a daikon-ponzu dressing. 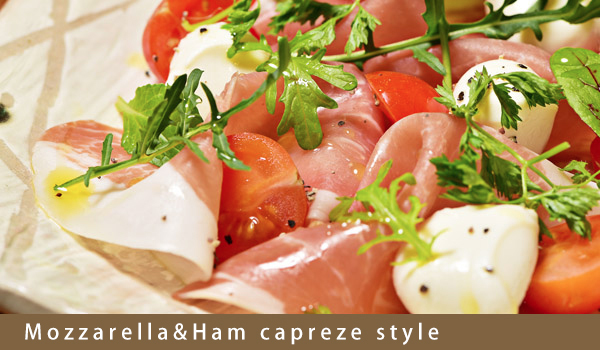 Mozzarella， dry-cured ham， tomato， and olive oil， in a delectable capreze salad. Local pork bacon mixed in a wonderful potato salad. 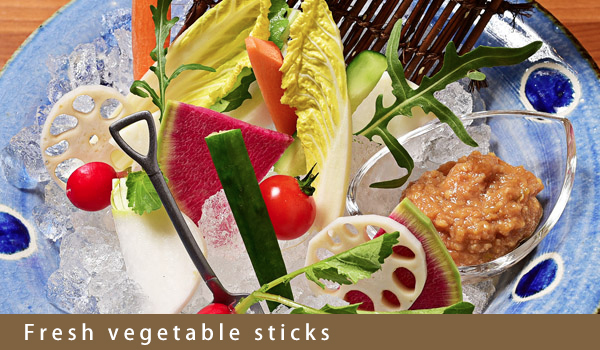 Fresh local vegetables with homemade meat miso dipping style. Japanese-style fish and vegetable carpaccio salad. This is our most popular dish on Instagram. See what all the fuss is about! You will never grow weary of this crispy layer around a gooey camembert inside. Try something new and exciting! This is garlic already growing roots and sprouting， fried into perfection. Extremely juicy and tender fried chicken seasoned with Hakkaisan’s salted kouji. Fried soft octopus from the Japan Sea. A large pile of french fries. Do you have your Instagram account prepared? You might think you are being tricked， but it really is burdock root! Still don’t believe us? Taste it for yourself! Flavored with soy sauce. You can’t go amiss with the delicious flavors of Wagyu beef offal and a delectably salty soup. A rice ball made from this region’s special Koshihikari rice. It’s undoubtedly the best in Japan. Delicately-flavored soy sauce soup base on top-quality rice. The perfect end to a meal. A sushi set that includes the Chief’s best sushi. Five pieces. A medium-fatty tuna sushi roll. Medium-fatty tuna， red tuna meat， and ”negitoro”(minced tuna with green onions) on rice. The most extravagant rice bowl you’ll find in the Naeba area， eel and roast beef meet in a heavenly dish， adorned with a raw egg. A local delicacy， these soba noodles are wonderfully easy to eat. Same as the “Fried Foods” portion of this menu. To accompany soba noodles. The pork pairs perfectly with the soy-sauce based soup and the soba that goes with it. Plenty of mushrooms to join your soba in a bath of soy-sauce based soup. 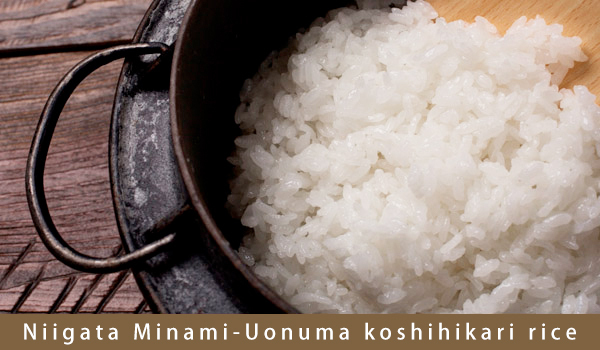 Enjoy a fantastic bowl of top-grade locally-grown Koshihikari rice cooked in front of you. Comes with side dishes, miso soup, and a raw egg. Koshihikari rice cooked in front of you with sea bream (Tai). 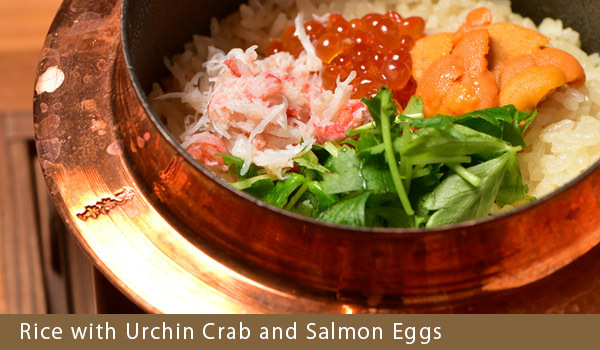 Koshihikari rice cooked in front of you with Urchin Crab and Salmon Eggs (Tai). Koshihikari rice cooked in front of you with eel (unagi). 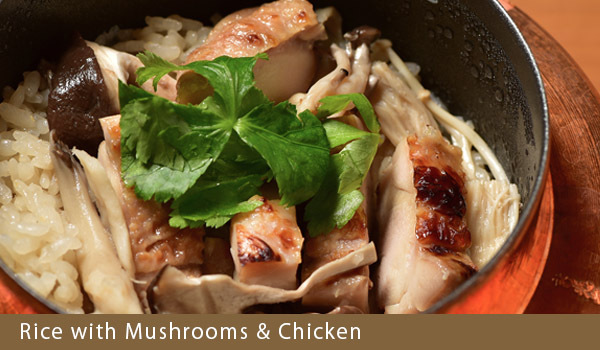 Koshihikari rice cooked in front of you with Mushrooms & Chicken. Oysters cooked with Koshihikari rice cooked in front of you， seasoned with ginger accents. Matcha green tea tiramisu and homemade baumkuchen topped with brown sugar syrup， arranged in a Masu box. (Egg， milk， wheat). Smooth， handmade annindofu [almond gelatin].